Favorite drink: Milk or almost all of carbonated soft drinks. Hikari is Kenji and Suzuka's older cousin. 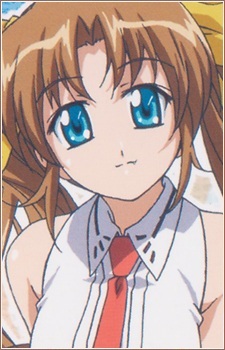 She is short-statured and has a long, golden-brown hair done in twin tails. She is somewhat short-tempered and has a tomboyish personality. Hikari maybe annoying but she really cares for her cousins and Nanami, and is willing to help them when they're in trouble. She is often pestered by Hatano, Kenji's friend and classmate, who is crazy about her every time she visits to her cousins during summer. She loves to eat spicy foods.